There has been a lot of talk in the news lately about the rising cost of groceries in Canada and the United States. Whether it’s Gwyneth Paltrow’s unsuccessful food stamps challenge, or Vancouver chef’s taking on the $1.75 per day challenge, it feels like everyone is talking about the cost of healthy fresh food. As a young family raising two kids in one of the most expensive parts of the country, we completely understand the struggle to eat healthy on a budget. When we first started our business four years ago, there were plenty of months when I had to get creative and work with a grocery budget as tight as $50 a week. At those times I almost always turned to Indian meals, because they are healthy, delicious, and budget friendly. The beauty of Indian food is that it’s layered with flavours and spices, so even an inexpensive meal, with a few ingredients like masra di dal (red lentils), feels substantial. Supplemented with a whole wheat roti, or a side of rice, a meal for a family of four can easily be created between $5-10, and sometimes as low as $3 per meal if you are shopping bulk. 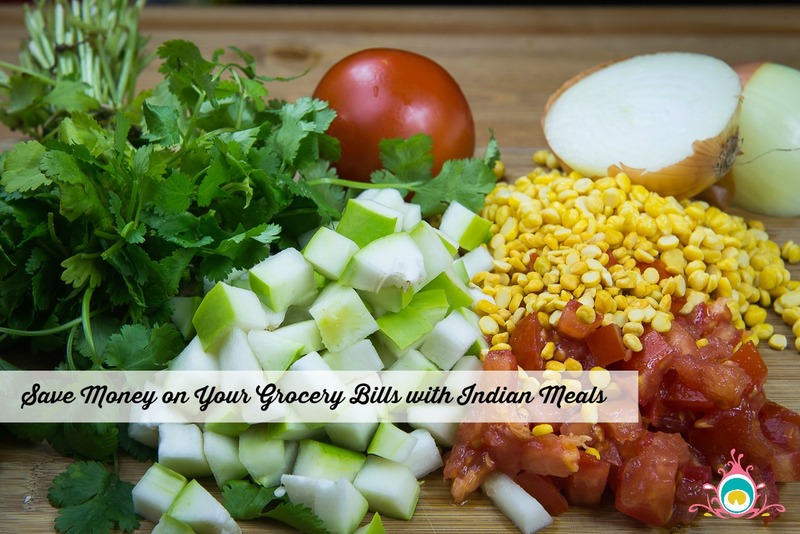 Today I’m sharing some of my top tips to save money on you grocery bills with Indian meals. I’ve tried to write from the perspective of a novice cook who wouldn’t have an abundance of ingredients and spices already on hand. You can do this, even if you don’t cook Indian food regularly. 1. Buy lentils and dry beans from the bulk section. I know lentils and beans can be overwhelming and even confusing if you haven’t worked with them before, but they are also very forgiving! Soak them in water for a few hours, and boil slowly until they get to the texture you like. Once you’ve cooked a certain lentil a few times, you will get a feel for how much water you like in that variety. It can be a lot cheaper to buy a small bag of onions and freeze it, rather than buying one or two onions each time you shop. 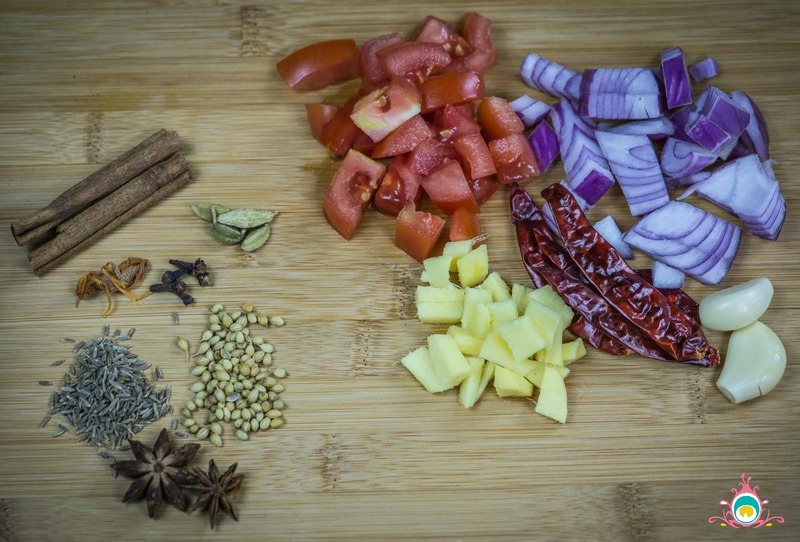 Once a month I spend about $15 on onions, tomatoes, garlic, and ginger, and use all those items to make and freeze; tadka cubes, my sabzi starter sauce, and bhuna masala. If green chilies are on sale I also slice and freeze some of those. 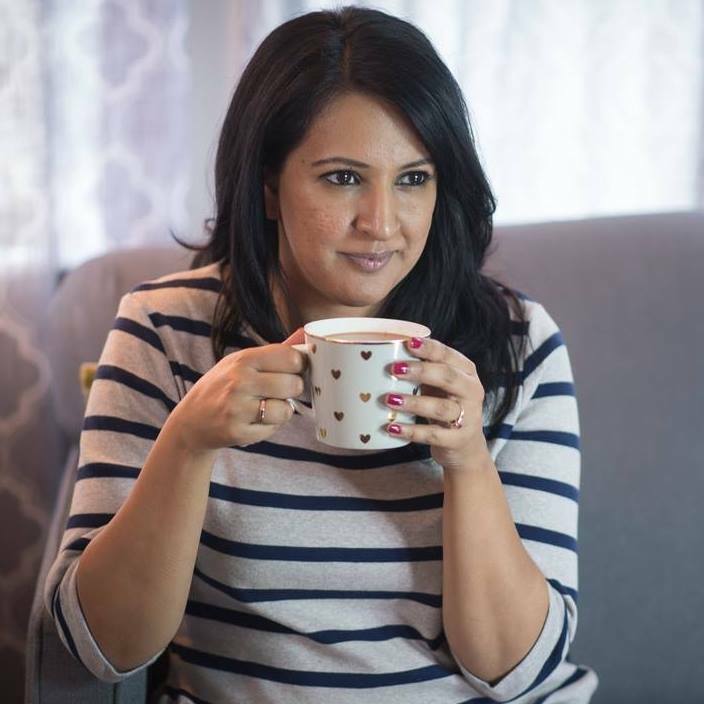 I have an overflowing spice cabinet because I love playing with different flavours, but the truth is, you can easily cook a delicious Indian dish with just turmeric, cumin seeds, and garam masala. For me, those are the non-negotiable, all the other spices can be added as your budget grows, or when they go on sale. It looks kind of gross, some of it has gone off, but a lot of times there is produce in the clearance bins that is good enough to use in one or two days. If you’ve already stocked your freezer with some base masalas as I mentioned above, you can cook them up on grocery day. Since most produce in Indian food is cooked down, this is a great trick, and something I still do every week. Dollar for dollar there is probably no cheaper bread out there than roti. I know it’s got wheat in it, but it’s a real life saver at the end of a lean month. Once you’ve mastered a basic roti you can enhance it with herbs, stuff it with potatoes, or even left over dal and sabzi. A flavoured roti can easily be served hot with some amb da achar (mango pickle) and feel like a special Sunday brunch, not a budget meal. these are some great tips..i need to check out those starter sauce recipes. I do make korma pasta in advance and it works wonderfully. Great tips! And I really need to get on the last one, making my own roti! A few people have mentioned that a simple roti is a struggle for them. I think a tutorial should be coming soon! Great Article…. Thanks for sharing it.